St Andrews - "The Home of Golf"
St Andrews "The Home of Golf"
HOW CAN I GET A TEE TIME AT THE LEGENDARY OLD COURSE IN ST ANDREWS? This is one the most common questions we get asked by golfers from all over the world wanting to visit “The Home of Golf” and play over the most famous links in the world. Well, below is some information that may assist you in acquiring a tee time at the Old Course St Andrews through Links Golf St Andrews. SO, HOW CAN I BOOK AN OLD COURSE TEE TIME WITH LINKS GOLF ST ANDREWS? IS IT ONLY FOUR BALL TEE TIMES THAT COME AS PART OF YOUR PACKAGE? 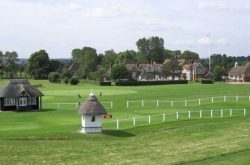 All of our tee times are four balls but we often allocate half of a tee time to a two ball which leaves space for another two golfers. We also allocate tee times to three balls which then leaves a space for a single golfer. For larger groups, we use multiple tee times. 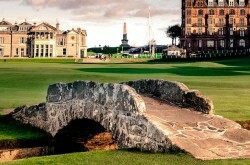 I HEARD THAT THERE IS A TWO COURSE POLICY REGARDING THE OLD COURSE, IS THIS TRUE? 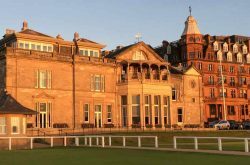 Yes, all Old Course tee times that are booked in advance are sold as part of a two course package. Along with the tee time on the Old Course, golfers also have to take up the option to play another of the St Andrews Links Courses. 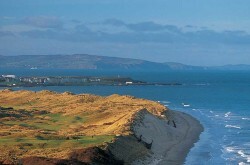 This option will be the New Course, the Jubilee Course, the Eden Course or the Castle Course. Golfers do not have to play this round but it will be included in the tour costs. ARE THERE ANY RESTRICTIONS REGARDING PLAY ON THE OLD COURSE? 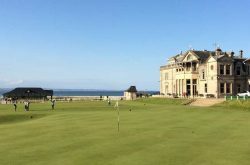 There are strict handicap restrictions for golfers wishing to play the Old Course. The handicap limits are 24 for men and 36 for ladies. All golfers must provide a current handicap card or certificate at the time of play. Also, there are no pre-bookable tee times for Saturdays and the Old Course is closed on Sundays. OKAY, I UNDERSTAND ALL OF THE ABOVE AND I AM INTERESTED IN BOOKING A TOUR WITH YOU. HOW DO I GO ABOUT ARRANGING MY TOUR WITH YOU?